That was the message from the Women’s Leadership Network, UCA Outreach, Conductor, the Arkansas Center for Research in Economics, and the Arkansas Economic Development Commission at the first ever Women’s Business Showcase on Wednesday, February 28 on the campus of the University of Central Arkansas. Patricia Nunn Brown, Director of Small and Minority Business Division for the AEDC shared with hundreds of ladies how they can take advantage of the resources available through the agency. 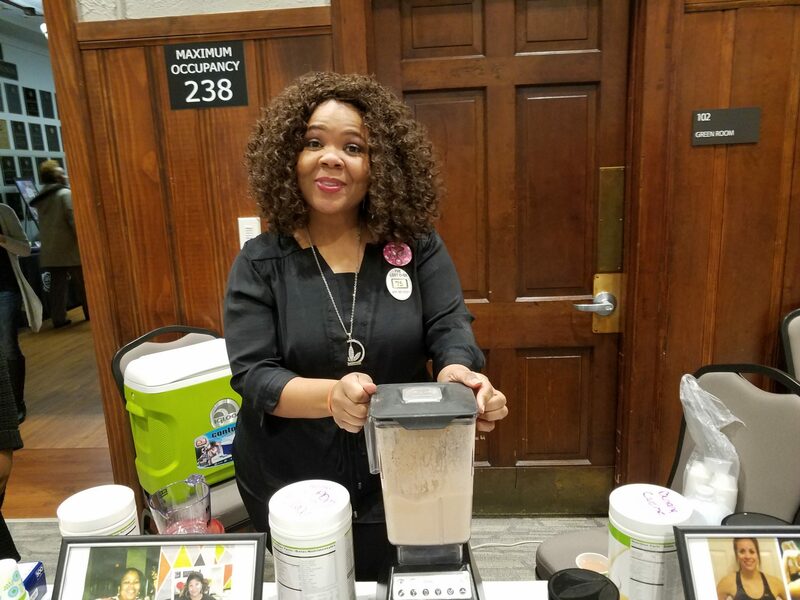 Certified Woman and Minority-Based businesses have access to scores of businesses who are looking to work with companies like theirs, she told the ladies. She encouraged them to apply. Also, through the AEDC, certified businesses have access to funding opportunities. Christy Horpedahl of Arkansas Center for Research in Economics talked about gaps in economics for women across the country as well as locally. She explained that Conway is in a better position, but it still has work to do and can be a leader for other communities in Arkansas. UCA First Lady Jenny Davis encouraged the women in attendance to be a role model for a younger generation of students who need to see female entrepreneurs to know what is truly possible. She told the group of ladies, as a teacher, she has struggled to offer an example of role models for her students. She challenged the ladies at the conference to be that role model for young girls. She encouraged them to change the story that has been told. The “See Who You Are” photography exhibit by Brenda Yelvington was an interactive display set up in the hall for the participates to view. The exhibit was previously on display at the University of Arkansas Fort Smith. The event was followed by a showcase of over 30 women-owned businesses and a chance to network and share resources.